StraighterLine's convenient online courses can fit into any schedule, which means your education doesn’t have to wait just because of work. StraighterLine students have the freedom and flexibility to fit learning into their life their way. Employers are finding innovative ways to allow their employees to meet their educational goals while managing a full time job. A number of employers have trusted StraighterLine as an educational partner. To learn more about the educational options offered by your employer simply contact your HR representative or start checking the list of companies on this page. Just remember that our corporate partner network is always growing. If you do not see your company on this list, have your employer inquire about how to join our network by filling out our form. Interested in Becoming a StraighterLine Corporate Partner? Fill out the form below to discover how a partnership with StraighterLine can help build a stronger, smarter workforce for your organization. Aaron's, Inc. (NYSE: AAN), a leader in the sales and lease ownership and specialty retailing of furniture, consumer electronics, home appliances and accessories, currently has more than 2,100 Company-operated and franchised stores in 48 states and Canada. Aaron's was founded in 1955, is headquartered in Atlanta and has been publicly traded since 1982. Progressive Leasing, a wholly-owned subsidiary and leading virtual lease-to-own company, provides lease-purchase solutions through approximately 15,000 retail locations in 46 states. Aaron's, Inc. includes the Aarons.com, ShopHomeSmart.com and ProgLeasing.com brands. For more information, visit www.aarons.com. Edcor provides industry-leading tuition assistance and support services, allowing our clients to focus on their core business. Edcor’s innovative web-based solution provides high-quality, high-value and cost-effective service. Our transaction processing excellence, partnered with our client-centric philosophy, help companies link their tuition assistance programs with their overall learning and development strategies. EdLink has been designing and administering successful tuition programs and education guidance for employees for nearly 30 years. It is the nation’s largest provider of outsourced tuition management services, working with companies of all sizes across multiple industries. Long recognized as the thought leader in the industry, EdLink’s deep expertise and commitment to research and innovation ensures results that matter to both corporations and working adults. EdLink serves over one million eligible employees and saves clients millions of dollars each year in tuition costs. EdLink is an independent company jointly created by two national non-profit leaders in education, the Council for Adult and Experiential Learning (CAEL) and ACT, Inc.
Harland Clarke Holdings has four business segments, which are operated by Harland Clarke, Harland Financial Solutions, Scantron, and Faneuil. Harland Clarke is a provider of checks and related products, direct marketing services, customized business and home office products, and security solutions. Harland Financial Solutions provides technology products and related services to financial institutions. Scantron is a leading provider of data management solutions and related services to educational, commercial, governmental, and healthcare entities. Faneuil is a leading provider of business process outsourcing and managed services with expertise in contact centers, violations processing centers and toll operations. Based in Austin, Texas, Harden Healthcare is a leading senior healthcare services provider. With services including home health, hospice care, assisted living, skilled nursing and rehabilitation, Harden serves the entire post-acute continuum of care. The company strives to provide the best care for its patients, and a sense of pride and purpose for its associates. Today, Harden’s family of companies serves more than 35,000 patients a day in 13 states. Jack in the Box Inc. is has more than 2,200 restaurants in 20 states, Jack in the Box is among the leading quick-service restaurant chains in the US. JBS has been providing a wide variety of quality products for more than 50 years with one mission: to provide the best possible service, selection and value to their customers. Las Vegas Sands (NYSE: LVS) is a Fortune 500 company and the leading global developer of destination properties (Integrated Resorts) that feature premium accommodations, world-class gaming and entertainment, convention and exhibition facilities, celebrity chef restaurants, and many other amenities. The Venetian® and The Palazzo®, Five-Diamond luxury resorts on the Las Vegas Strip, and Sands® Bethlehem in Eastern Pennsylvania are the company's properties in the United States. Marina Bay Sands® is the company's iconic Integrated Resort in Singapore's downtown Marina Bay district. Through its majority-owned subsidiary Sands China Ltd., the company owns a portfolio of properties on Macao's Cotai Strip®, including The Venetian®Macao, Four Seasons Hotel Macao, and Sands Cotai Central. The company also owns the Sands® Macao on the Macao Peninsula. Las Vegas Sands is committed to global sustainability through its Sands ECO360 degrees program and is an active community partner through its various charitable organizations. LearnShare provides talent management software solutions that enable Fortune 1000 companies to measure, motivate and manage the development of their most important asset. The brainchild of distinguished human resource professionals - not software developers - LearnShare uses a proprietary process to adapt its flexible, integrated suite to the unique needs of its clients on a global scale. 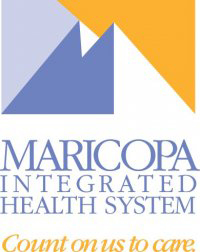 Maricopa Integrated Health System includes Maricopa Medical Center, the Arizona Burn Center, the Comprehensive Healthcare Center, the McDowell Healthcare Clinic, 10 community-oriented family health centers, and an attendant care program. The Maricopa Medical Center is a premier training center for the nation’s physicians. MIHS provides care for all that enter their doors and annually have nearly 20,000 inpatient admissions and 300,000 outpatient visits. The PerksCard provides a way for members to save on things they do and need every day, including: gym memberships, movie tickets, mini vacations, dining opportunities and much more. Perkspot’s clients include Fortune 500 corporations, state and local governments, school districts, and other affinity groups. Perkspot continues to be a leading provider in benefits and perks programs through their proprietary technology platform. They provide value to organizations’ employees, or association members, with single point of access for specialty benefits, personal insurance products, and discounts on consumer goods and services. RadioShack has been a part of the American retail sector for more than 90 years. RadioShack is also in parts of Europe, South America, and Africa. They credit their success to the customer-oriented approach which has transformed them into a multifaceted, multibillion-dollar electronics retailer with more than 34,000 associates and 4,700 company-operated stores across the United States and Mexico. Scholarship Management Services, a division of Scholarship America, has become the nation’s leading administrator of education assistance programs, which include scholarships, tuition assistance, and education loan programs. 7-Eleven, Inc. is the premier name and largest chain in the convenience retailing industry. Based in Dallas, Texas, 7-Eleven operates, franchises or licenses more than 9,700 7-Eleven® stores in North America. Globally, there are some 49,000 7-Eleven stores in 16 countries. During 2011, 7-Eleven stores worldwide generated total sales close to $76.6 billion. 7-Eleven has been honored by a number of companies and organizations recently. Accolades include: #2 on Forbes magazine’s 2011 list of Top Franchises for the Money; #3 spot on Entrepreneur magazine’s Franchise 500 list for 2012, #3 in Forbes magazine’s Top 20 Franchises to Start, and #2 in Franchise Times Top 200 Franchise Companies. Hispanic Magazine named 7-Eleven among its Hispanic Corporate Top 100 Companies that provide the most opportunities to Hispanics. 7-Eleven received the 2010 Retailer of the Year honor from PL Buyer because of the company's private-label brand initiative.7-Eleven is franchising its stores in the U.S. and expanding through organic growth, acquisitions and its Business Conversion Program. Find out more online at www.7-Eleven.com. Founded in 1924 by philanthropist Ellen Browning Scripps, Scripps Health is a $2.5 billion nonprofit integrated health system based in San Diego, Calif. Scripps treats a half-million patients annually through the dedication of 2,600 affiliated physicians and 13,500 employees among its five acute-care hospital campuses, home health care services, and an ambulatory care network of physician offices and 23 outpatient centers and clinics. More information can be found at www.scripps.org. Founded in 1967 in Abilene, Texas, Taco Bueno is committed to the freshest, highest quality and a unique authentic Mexican food experience. Today Taco Bueno boasts 176 locations in nine states with the majority located in Texas, and Oklahoma. The company is privately owned by Palladium Equity Partners. Find out more about Taco Bueno by logging on to www.tacobueno.com and following us on facebook. Waste Management, Inc., based in Houston, Texas, is the leading provider of comprehensive waste management services in North America. Through its subsidiaries, the company provides collection, transfer, recycling and resource recovery, and disposal services. It is also a leading developer, operator and owner of waste-to-energy and landfill gas-to-energy facilities in the United States. The company’s customers include residential, commercial, industrial, and municipal customers throughout North America.